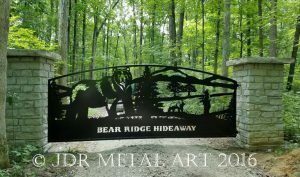 indiana driveway gates Archives - Custom Driveway Gates - Iron Steel & Aluminum - JDR Metal Art - FREE Standard Shipping! 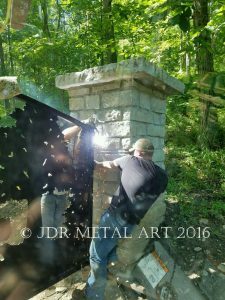 Metal Gates for South Bend, Indiana Residence. 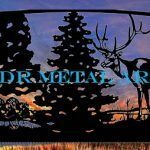 Need a Custom Metal Driveway Gate in South Bend, Indiana ? 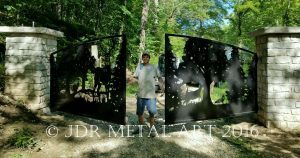 Let JDR Metal Art build your upcoming custom gate project! We built these dual swing gates for a client who runs a landscaping company in South Bend, Indiana. He installed them at his home and looks forward to installing more for us in the future! These are 14′ dual swing gates. The frames are made from steel tubing with mitered corners welded together for extra strength. 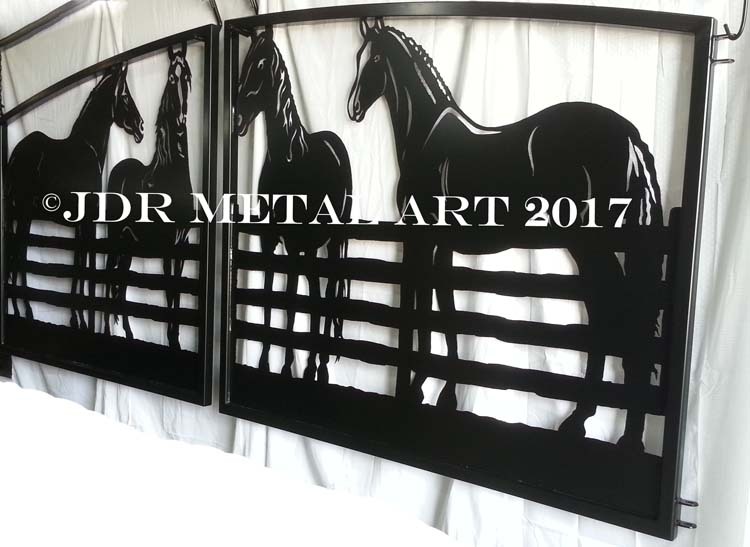 The horse cutouts are plasma cut from sheet metal. Each gate panel is 7′ wide and over 6′ tall at the top of the arch. We also supplied gates posts with sealed bearing hinges for maintenance-free gates! We Supply Custom Gates Nationwide! We build steel and aluminum gates for customers who are located anywhere. We either ship or personally deliver our gates and also offer our clients installation services for their gates and gate openers of many makes and models. Contact Us for a Driveway Gate Quote! 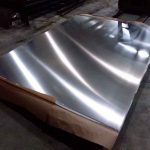 Author gatesPosted on February 19, 2017 December 6, 2018 Categories indiana driveway gatesTags indiana driveway gatesLeave a comment on Metal Gates for South Bend, Indiana Residence. This is a dual swing driveway gate we built for a gentleman and his wife who own a wooded property near Vincennes, Indiana. We built everything by hand at our shop using a plasma cutter and welder. We then powder coated the gates and the mounting posts; first with a zinc rich primer, followed by oil rubbed bronze, topped off with a glossy clear finish coat. 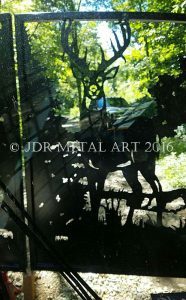 The gates feature deer, a fox and a bear in a woodland setting. 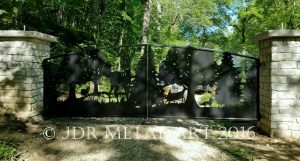 The name of the property, “Whispering Pines”, is hand cut into steel and welded to the top of the gates.